We’ve been chillin’ and grillin’ at El Vaquero, the open-air beachfront spot we recently opened on the south end of Witch’s Rock Surf Camp. The bar and has quickly become a favorite hotspot for locals, guests, employees, and visitors in town. With the little rustic rancho bar, shaded umbrella tables, and plenty of room to stretch out or let the kids run around, El Vaquero is another perfect place at Witch’s Rock to watch surfers during the day and enjoy the spectacular sunsets each evening. 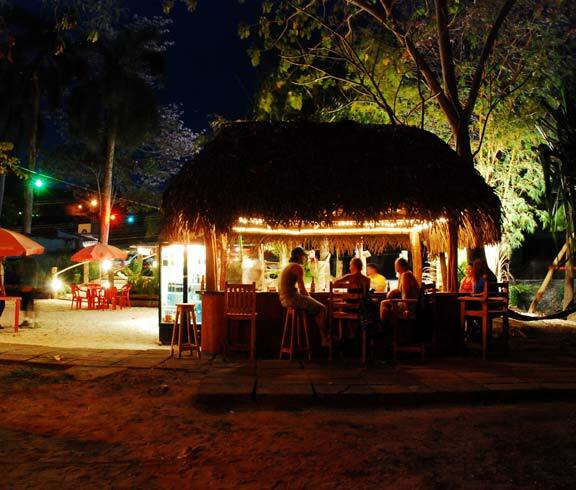 At night, the gentle breezes under the stars make it a magical spot to eat dinner (everything on the Menu at “Eat at Joe’s” can be ordered at El Vaquero, and we also do BBQ three nights a week) or just enjoy a cold beverage with your toes in the sand. This past week we started adding live music, and now the place is really rocking at night. The Banana Kings turned in their usual top-notch set on Saturday and were joined by some friends from New Orleans who joined the band and belted out sweet blues and soul tunes. Sunday we enjoyed the Latin sounds of a great local band. 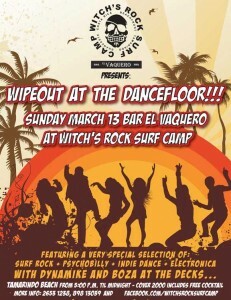 Over next two weekends, we have special events coming to El Vaquero: On Sunday, March 13th we’ll be hosting “Wipeout at the Dancefloor” a party put together by local promoters who approached us to throw a bash, and bring their two great DJs and slick audio/visual atmospherics to the beach! Should be a blast, we’re looking forward to some serious rump shaking. On March 19th and 20th we will be hosting a Surf Contest for local area kids. It will be a fun event, with activities throughout the day for everyone from toddlers to teens, and their friends and family. 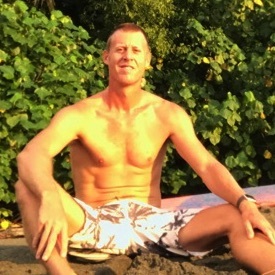 Some of the local groms can really rip, so if you want to check out the future of surfing in Guanacaste, come down and enjoy the contest whether you have offspring or not. 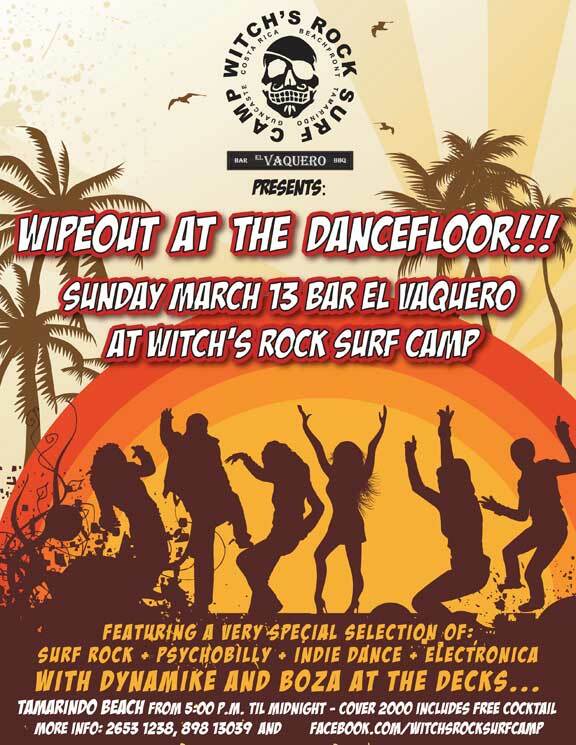 So now there’s another great reason to come to Witch’s Rock Surf Camp, whether you’re dropping in from down the street, or flying in from around the World: the El Vaquero Bar adds another terrific dimension to paradise! Hope to see you soon.